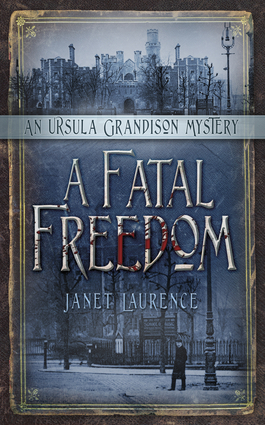 The second in a series of Edwardian murder mysteries set in London with a clever and determined female sleuthLondon 1903: American Ursula Grandison is once again involved with murder, this time in London. As she struggles to make a living in a society where women have few rights and little freedom, she teams up with old friend and private investigator Thomas Jackman, who soon find himself once gain drawing on Ursula's investigative abilities as they battle to save an innocent woman from the noose. Set against a background of Edwardian constraints and the fight for women's suffrage, Ursula and Jackman gradually realize they are up against a subtle and dangerous killer who strikes again before they can close the case. Janet Laurence is the author of the Darina Lisle culinary crime novels, which include Death at the Table. She is the former chairman of the Crime Writers' Association and was included in the Times' "100 Masters of Crime" in 1998.